Border Mat Supplies - Anti slip barrier mat supplies non slip doormats. We have a wide range to choose from and we give expert advice, we only supply mats from leading manufacturers. Border Mat Supplies is a family business based in the North West that understands business needs and we supply mats throughout the UK. 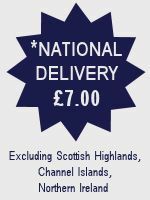 We offer National delivery by courier. To order call 01524 64829 or mobile 07782 306 876 anytime.